When you think of candy corn what comes to mind? When I think of it I picture orange, yellow, and white layered in sugary candy goodness. I think candy corn also evokes memories of childhood and Halloween when I couldn’t get enough of the sugary candy. Fast forward many years and while I’ll still munch on a piece or two of candy corn, I can’t eat much more then that. I like the flavor and the texture of it but it’s just so sweet. 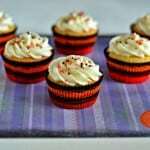 I like using it in recipes but putting it on top of a sweet baked good is just a little much. Plus when it’s Halloween time everything is about candy and sweets. 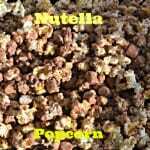 I wanted to make something that while sweet it was still good for you. 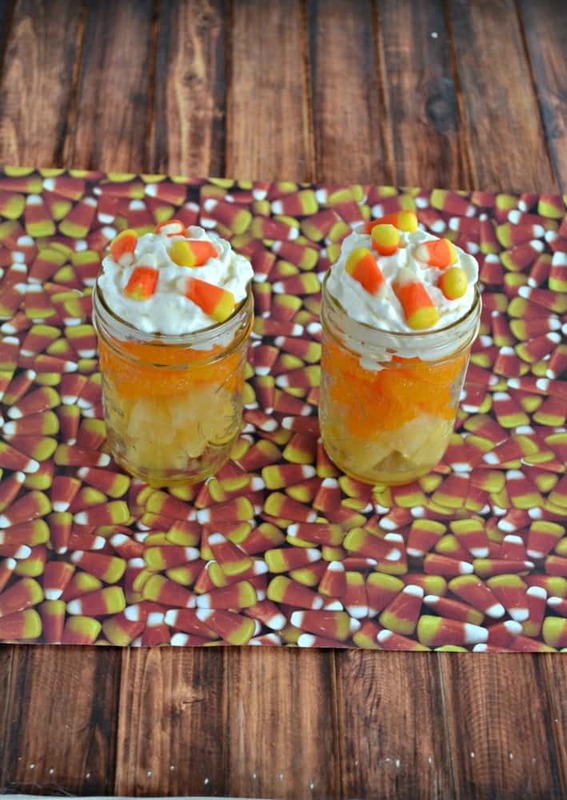 Enter the Candy Corn Fruit Parfait. I know what you are thinking…how in the world do candy corn and fruit go together? You’d be surprised how much they go together! To make these parfaits you simply need pineapple and mandarin oranges. I used canned pineapple but next time I think I’ll use fresh. 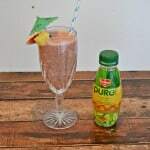 Simply take a few mason jars and add pineapple to the bottom. Layer the oranges on top. 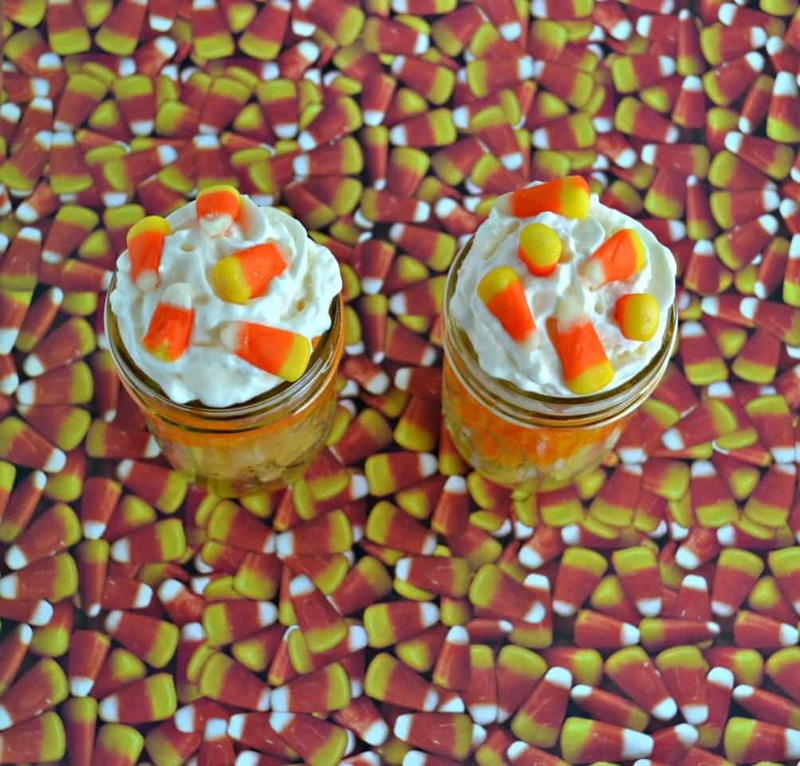 Then you spray on some whipped cream and sprinkle it all with candy corn. Not only does it look like a giant candy corn with the colors, but it’s sweet and it’s pretty good for you. 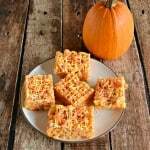 It’s great way to get kids to eat and enjoy their fruit around Halloween instead of wanting to just eat candy. I think fruit topped with whipped cream is awesome anyhow and it make the fruit feel more like dessert. 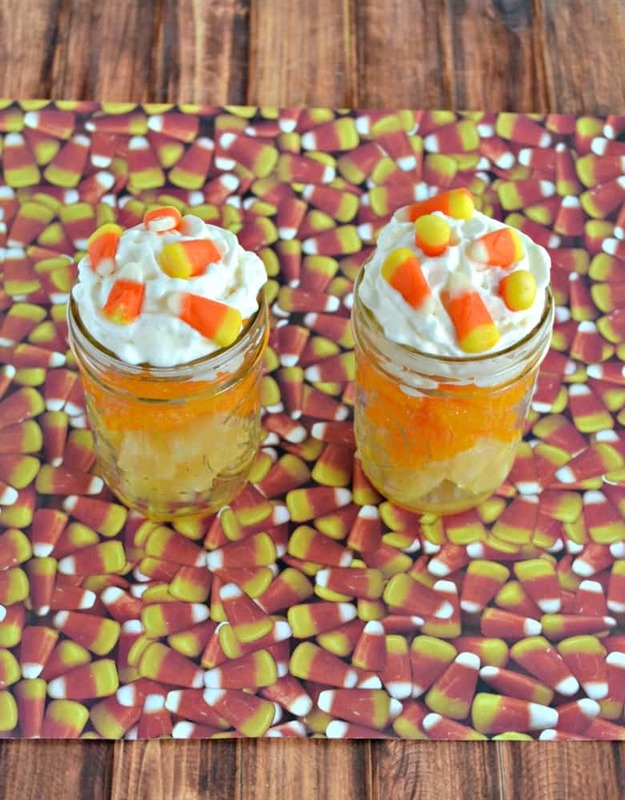 Turn the sugary goodness of candy corn into a delicious fruit parfait the kids will love! Divide the pineapple chunks between the three mason jars. Carefully layer the divided mandarin orange on top of the pineapple. 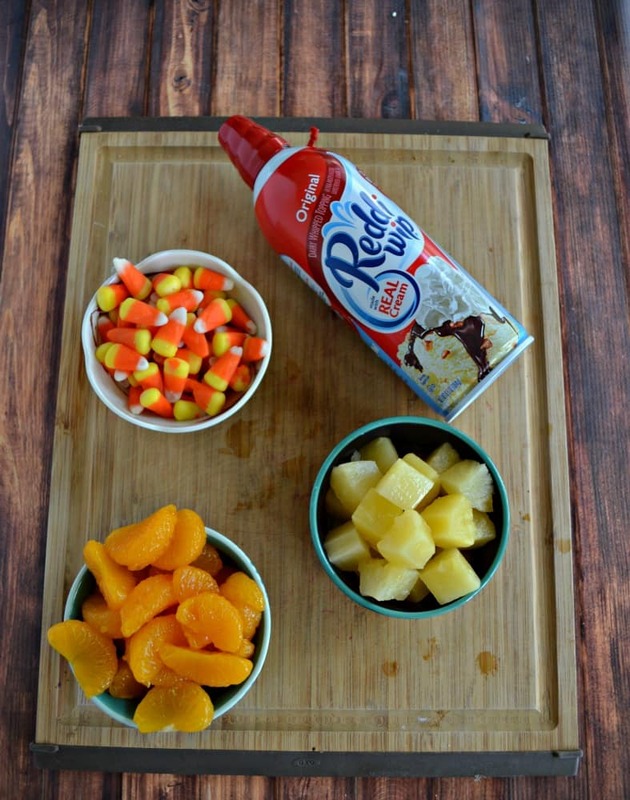 Spray whipped cream on top of the fruit and sprinkle with candy corn.